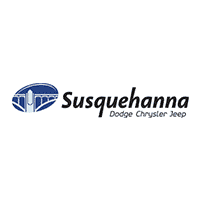 Susquehanna Auto is glad to support our local community through the display of non-profit events/announcements on our digital sign at the corner of Cool Creek Rd & Rt. 462. Before submitting a request, please read the information below. We will do our best to accommodate one community announcement per week. Signage will be provided at the discretion of management, and likely will not be determined until just prior to the requested dates. Not all requests may be able to be fulfilled, as sign availability and the availability of time that it takes staff to create the messages varies. We are unable to display personal messages, or messages regarding charity functions tied to a business. To Request that a community event be displayed on our electronic billboard, please fill out the form at the bottom of this webpage. Due to the number of requests that we receive, we are unable to promise signage or confirm signage availability.